At Aquatic Warehouse, we have been on the lookout for a quality built multi-media reactor that doesn’t fall apart like so many phosphate filters out there are known for. Well, search over! The new Bubble Magus MF70 Fluidized Media Reactor is many times better built than the flimsy-rubber hose units that are sold everywhere. 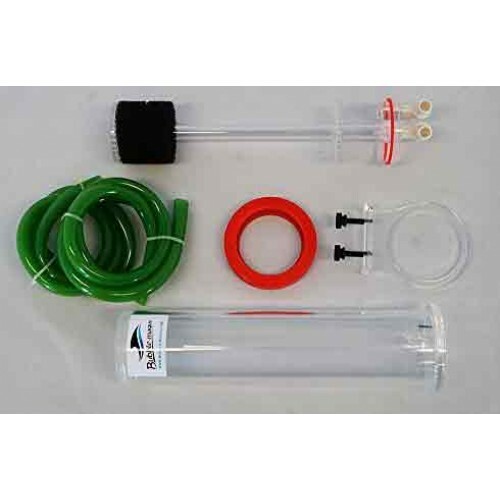 It is a multi-purpose aquarium water filter specially designed for use in marine and reef aquaria but perfect for carbon or any flatwater application also. Just insert your media of choice to help eliminate organic pollutants, odors, discolorations and algae fuels. 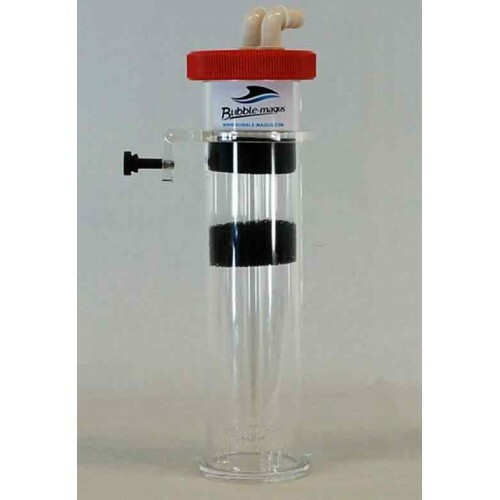 The up-flow design Media Reactors helps to keep filter media suspended and evenly dispersed to provide maximum contact time between your aquarium water and the media inside the reactor. 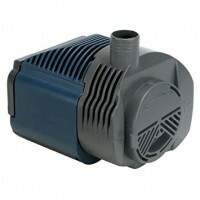 Water is introduced into the bottom of the filter and then gravity pushes it upward through the media and back out into your system. 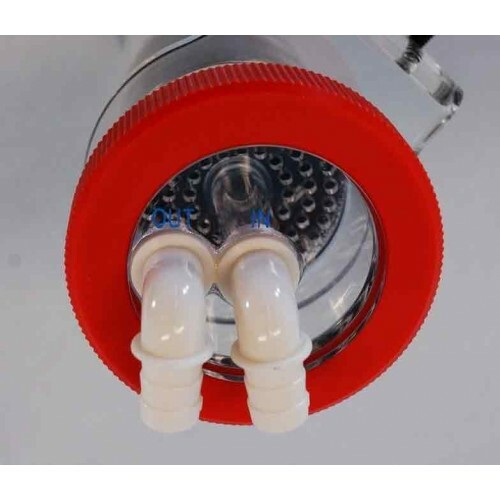 The Bubble Magus MF70 Reactor can be used externally or internally, also can be mounted on the sump, display, or on All-In-One (AIO) tank with the removable hanging bracket. 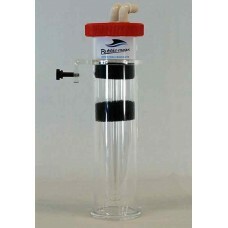 Cleaning and refilling of media are done by easily removing the twist lock cap. Rated up to 150 gallons for phosphate media.